With Spring comes Wedding Season. It lasts from now until the Fall, and it’s a whole lot of fun. There’s a lot of different types of weddings which require different types of dress, and while a good wedding means no one will be paying attention to what you’re wearing and instead basking in all of the beauty and love, you still want to feel confident and at ease. No one dances when they’re not at ease, and we need to be dancing. 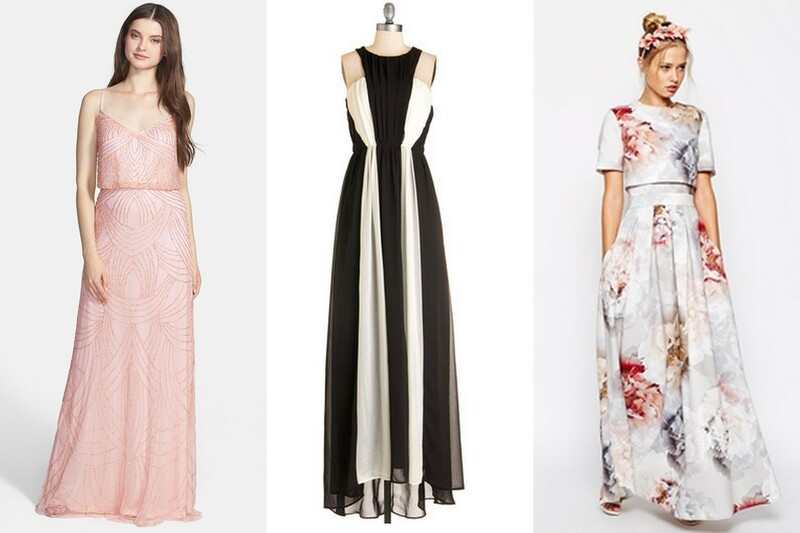 I’ve put together three different categories, if you will, of Spring wedding wear, any of which I would love to don. I need more special occasions in my life, because that embroidered black dress is calling my name. Formal weddings are a lot of fun. They’re sort of like getting dressed for your prom, but without all the pressure and flower-wearing. Unless you make a flower crown, in which case, go for it, I’m on board. I love the subtle beading of the blush dress and the slight sparkle it brings to the occasion. The long lines of that black and white dress would be flattering on most anyone, and the floral two-piece dress is a fun nod to a fancy garden party. Most of the weddings I’ve attended fall into this category, and it’s great because the sky’s the limit. This spring, find some fun colors and patterns, or a new silhouette like that beautiful blush two-piece, jeweled collar number. I love the pattern and color of the pink jacquard dress and wish I had it for this past weekend. It seems very Charleston. I fall solidly and very comfortably into this category. I never feel more comfortable or confident than when I’m in a well-fitting little black dress. They’re classic and they work for any and every occasion. I love that you can add some flair, like those cut outs, an unusual hemline, or that to-die-for embroidery. I want that dress bad. 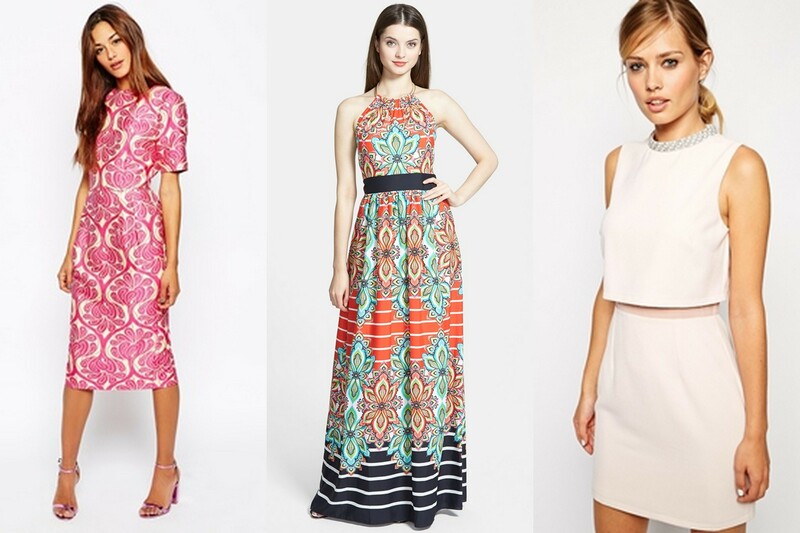 What are you wearing this wedding season? Can you invite me? I just need a glimmer of a reason to buy these 9 dresses. Tags: Formal weddings, little black dress, spring weddings, wedding season, what to wear to a Spring wedding. Bookmark the permalink.